I am a secondary writer for BJU Press in Greenville, South Carolina. 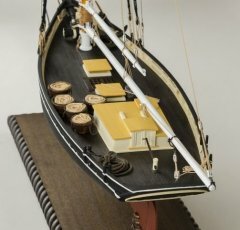 I have been modeling ships since 1999 in both wood and card stock. I have been a member of various ship modeling social media sites, starting with the old Seaways mailing list, then on to the now-defunct Dry Dock Models, then MSW 1.0, and now MSW 2.0. I really enjoy the camaraderie among my fellow modelers, and have even had the pleasure of meeting a few in person. Hope all of you will enjoy this site as much as I have.